Our 41st Issue, The Walls of the City Shake, is out and ready to be read – by you. 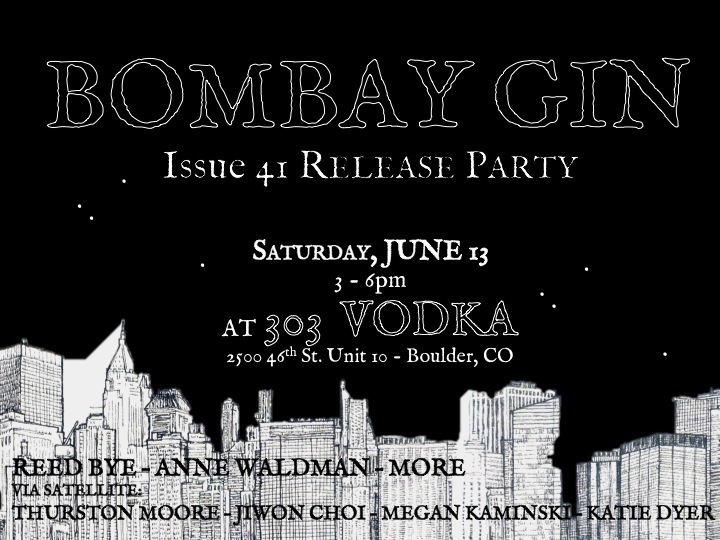 We will RELEASE THE WAIL – and Issue 41 – at 303 Vodka in Boulder this Saturday, from 3 to 6 p.m. Our featured readers include Anne Waldman, Reed Bye, and more, and we’ll have video readings from several of our contributors, including Thurston Moore, Jiwon Choi, Megan Kaminski, and Katie Dyer. See our flier below for more information.